Undoubtedly one of the most influential film personalities in the history of film, as well as one of the wealthiest and most popular directors of recent times, Steven Spielberg is an Academy-Award winning filmmaker, director, and producer of some of the biggest blockbusters in Hollywood of the late 20th and early 21st century, including Jaws, Raiders of the Lost Ark, Jurassic Park, Schindler’s List, Saving Private Ryan, among several others. Steven Spielberg is American and is considered one of the founding pioneers of the new Hollywood era. Born in Cincinnati, Ohio, to a restaurateur and concert pianist mother, Leah Posner, and an electrical engineer father, Arnold Spielberg, Steven Spielberg grew up in an Orthodox Jewish family. In 1950, his father took a job with RCA, and Spielberg had to move with the entire family to Haddon Township, New Jersey. The family later moved to Pheonix, Arizona, where Steven Spielberg became a student of the known Rabbi Albert L. Lewis, in Hebrew school, from 1953 to 1957. In childhood, he suffered from acts of Anti-Semitic prejudices and bullying, and also had a hard time merging the perception of him by other children outside and his family traditions as Orthodox Jews. Steven Spielberg made his first movie when he was 12 years old. It was about a train wreck, involving his toy of the time, Lionel trains. He would continue making amateur movies throughout his teen years until he became a Boy Scout in 1958 and won the photograph merit badge after making a nine-minute 8mm film, which he titled The Last Gunfight. At the age of sixteen, in 1963, Steven Spielberg wrote and directed Firelight – a 140-minute science fiction adventure – which became his very first independent film, and which would also later inspire the movie Close Encounters. The budget for the movie was $500, most of which came from his father, and which showed in a local cinema for one night, making back its cost of production that very night. Steven Spielberg got married in 1985 to his first wife, Amy Irving, an actress. They both had a son, before the couple divorced in 1989. He met his second – and current – wife, actress Kate Capshaw, in 1984 during the making of Indiana Jones and the Temple of Doom, in which she also starred. 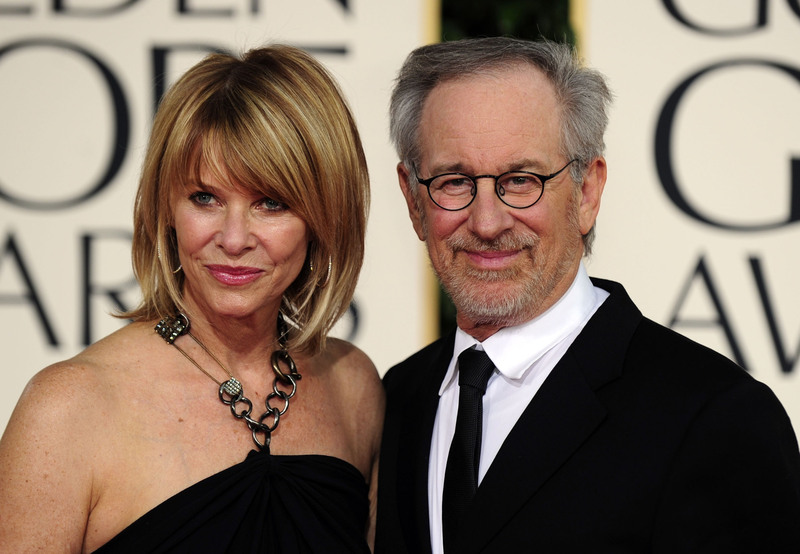 Spielberg married his second and current wife, Kate Capshaw, in 1991, and she has had three children with him. Together with two step-children from her previous marriage, and an adopted daughter, Spielberg has seven children altogether. Steven Spielberg is quite an inspiration, as he is known to drop a quotable line again and again. These are some of them. Steven Spielberg is known for directing some of the most successful movies in the history of Hollywood, and his movies consistently rank as some of the best ever made. They include Duel, Jaws, Close Encounters of the Third Kind, Raiders of the Lost Ark, E.T the Extra-Terrestrial, Indiana Jones and the Temple of Doom, Back to the Future, Who Framed Roger Rabbit, Always, Jurassic Park, Schindler’s List, Men in Black, Saving Private Ryan, The Mask of Zorro, Catch Me If You Can, as well as The Transformers Series. Steven Spielberg is 1.72 meters (5 feet, 8 inches) tall. From a very successful and equally lucrative career as a director in groundbreaking Hollywood movies, Steven Spielberg has a net worth of USD$ 3.6 billion dollars. Steven Spielberg’s house, which is a mansion in California, is worth over USD$ 20 million dollars. It has a swimming pool, Jacuzzi, Sauna, Slot Machine, Home Cinema, Gaming Room, Sports Room, Museum and a giant library.